Our HighRoad Southern Alps cycling tour is an epic 8-day bike tour that rolls over some of the most outstanding scenery in the French Alps, crossing no fewer than 8 Tour de France mountain passes (including Col du Galibier, Col d’Izoard and Cime de la Bonette – the highest paved through-road in Europe) and finishing on the sparkling Mediterranean shores of Nice! 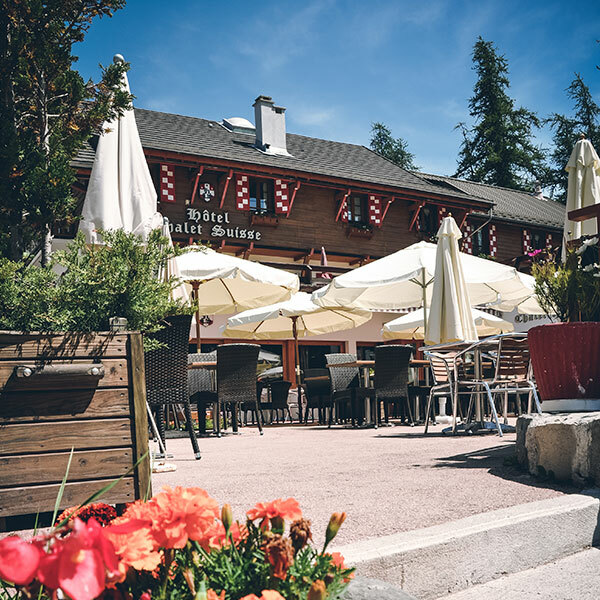 It’s no lie, these climbs are hard; that’s why we’ve searched high and low for quality, comfortable accommodation and great local restaurants all along your route through the Alps. Like all our HighRoad Tours, we keep van transfers to a minimum. 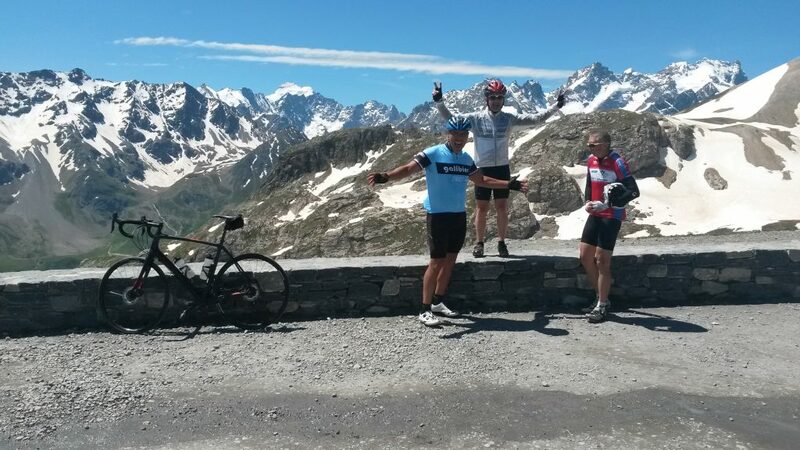 Once you are in the Alps with us, you will be mostly on your bike all the way to the Mediterranean Sea. 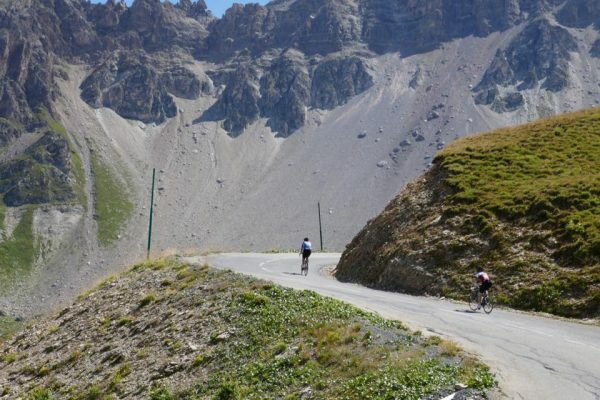 HighRoad Southern Alps is one of our ‘Hors Catégorie’ tours, which are reserved for strong riders who can handle multiple days of long distances and sustained, steep gradients. Your typical day in the Southern French Alps begins with a healthy buffet breakfast, followed by a ride in these beautiful mountains. Most rides will end back at your hotel (or the next one along the route) for a post-effort lunch. However, on longer days in the saddle (Day 4 and 7 for example) it will be a quick – and light – lunch on the road. You will always have a few hours in the afternoon to relax and explore your surroundings before we meet for a dinner of delicious local fare. 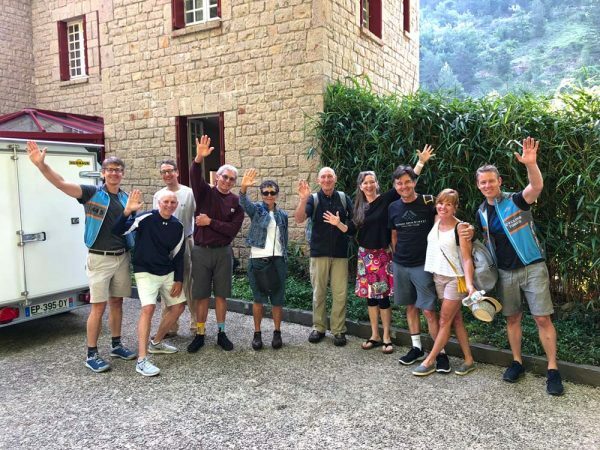 We will pick you up at Nice Airport in the morning, carefully pack up your baggage and bikes and then get to know each other a little on our drive to our first base in the Alps, Briançon. Once there we’ll check into our accommodation, do a short ride (time permitting), then a dinner at our hotel’s sister restaurant. After a gentle freewheel down to Briançon, we pass by the impressive walled upper city and make our way to our tour’s first mountain pass, Col de Montgenevre (1854m), straddling the French/Italian border. We make a fast descent into Italy, then ride north to our 2nd col of the day – l’Echelle (1762m). This is a short climb, but a good way to let the legs know what is up ahead! We descend from Col de l’Echelle into the beautiful Vallée de la Clarée, and a gradual downhill the rest of the way home. Dinner tonight is at a great local restaurant inside the fortified walls of Briançon’s old town. Today is the real deal! 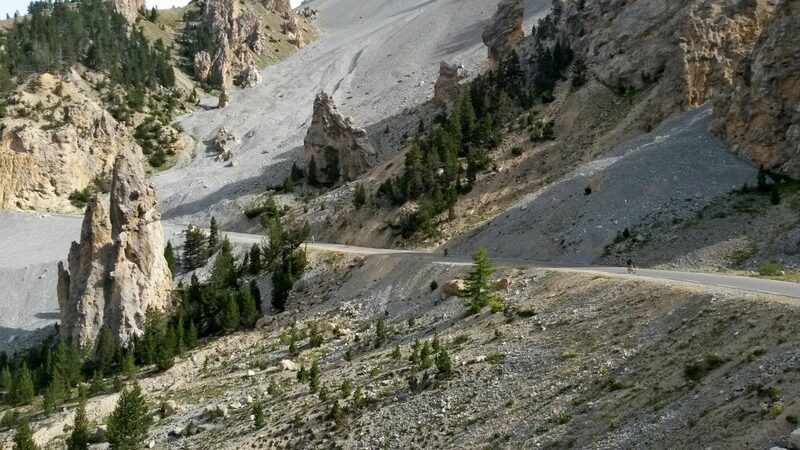 You will be driven to Modane, from where you will climb a true classic of the Tour de France – the Col du Télegraphe (1566m) / Col du Galibier (2645m) combo. After a short warm-up from Modane you hit the forested slopes of the Col du Télegraphe, a substantial climb itself, but a mere prelude to what is to come after the alpine village of Valloire. A quick coffee or snack is all you should take here because a mythic mountain awaits – Galibier. This epic climb has been used in the Tour de France many times since 1911 and in the 2011 Tour de France it became the highest ever stage finish. You are climbing in the pedal strokes of legends! Descend home via another TdF pass, the Col du Lautaret (2058m). A hearty dinner awaits you back in Briançon. 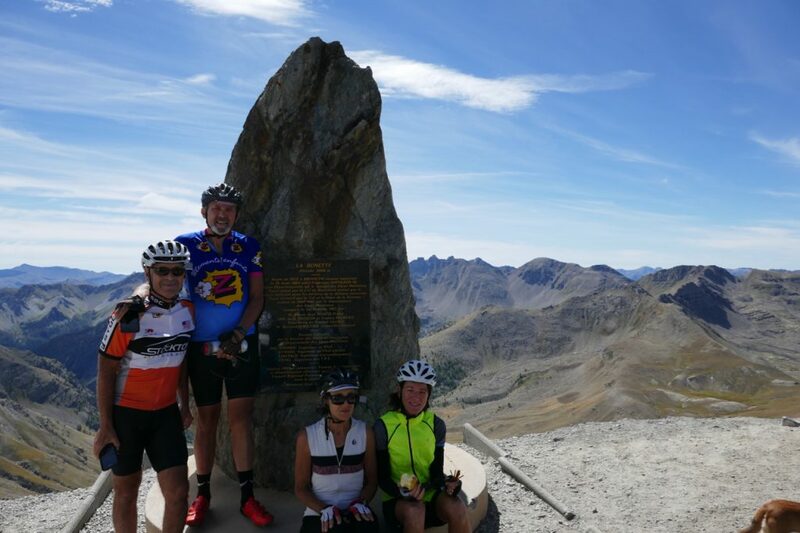 On our third day in the high mountains we leave Briançon and make a spectacular southerly journey over mighty Col d’Izoard (2361m), then a fantastic ride down through the ‘desert’ of the southern side, followed immediately by a long run through the canyon of the Combe du Queyras. Near the end of our day we ascend the Col de Vars (2108m), which brings us into the department of Alpes-de-Haute-Provence, and our home for the next two days – Barcelonnette. Dinner is at a great local restaurant, steps from our hotel. Today is our ‘easy’ day, but only because you have the afternoon off. After breakfast we will attack the Cime de la Bonette (2860m), the highest paved through-road in Europe, and a very challenging climb. You are rewarded for your hard work, however, with incredible views from the summit, all the way to the Mediterranean on a clear day. 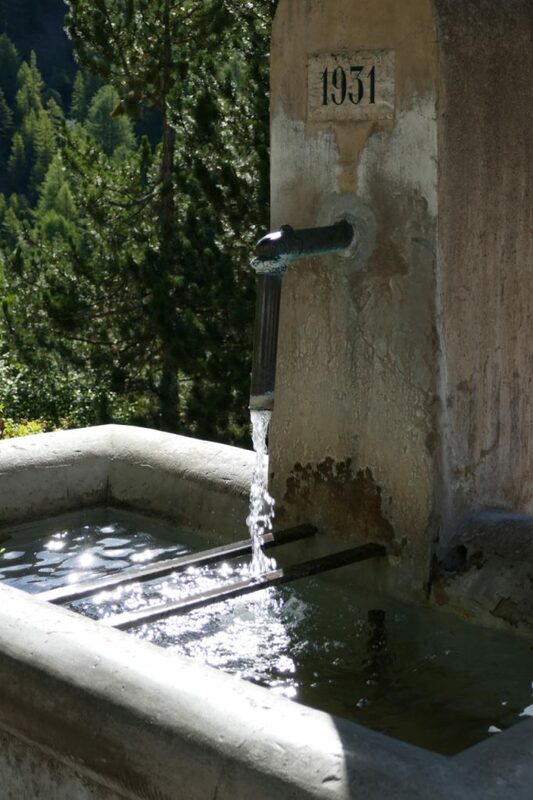 After one of the best descents in the Alps, your afternoon is free to do with it as you like. 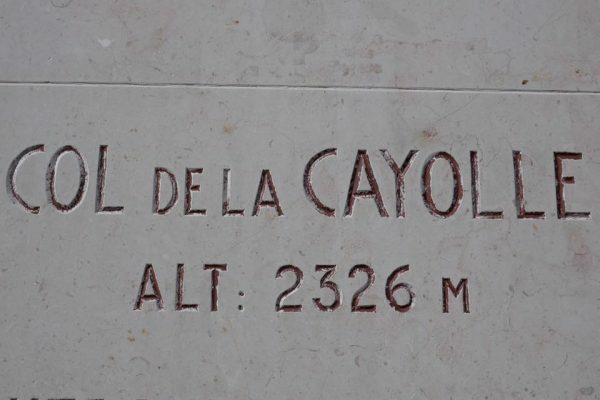 This morning we leave the lovely Ubaye valley via the scenic Col de la Cayolle (2326m). This climb is one of our all-time favorites – both the ascent and the descent, with its complete change in scenery and great roads. We are still in the high Alps but now the air is slightly dryer, the sky is a bit bluer and you know that the sea not too far away. Tonight we stay in a small ski resort and dine at one of the great restaurants Valberg has to offer. It’s nearly time to celebrate, but not quite yet! Our last day of riding is also our longest, but considering we will go from 1500m above sea level down to zero by day’s end, it certainly won’t be our toughest. This last day on the bike is, although not the high Alps anymore, a gorgeous ride with unique arrière pays views. We will aim for a mid-afternoon entrance into the Côte d’Azur, so you will have plenty of time to celebrate your great accomplishment under the blue sky of the Mediterranean. After checkout we will drive you to the airport. All your hard work is over now and you can relax and enjoy the ride, but maybe we’ll talk about where you’d like to do your next HighRoad tour…we’re always open to ideas! 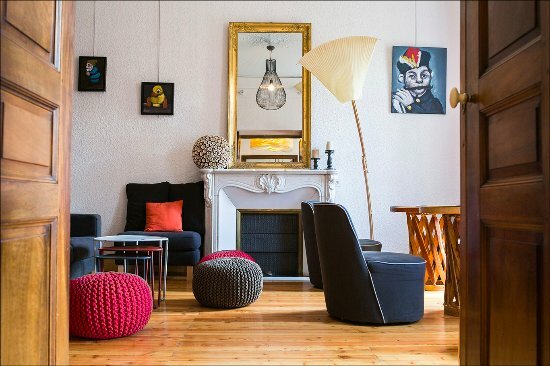 Accommodation for HighRoad Southern Alps ranges from Swiss chalets to Côte d’Azur chic. 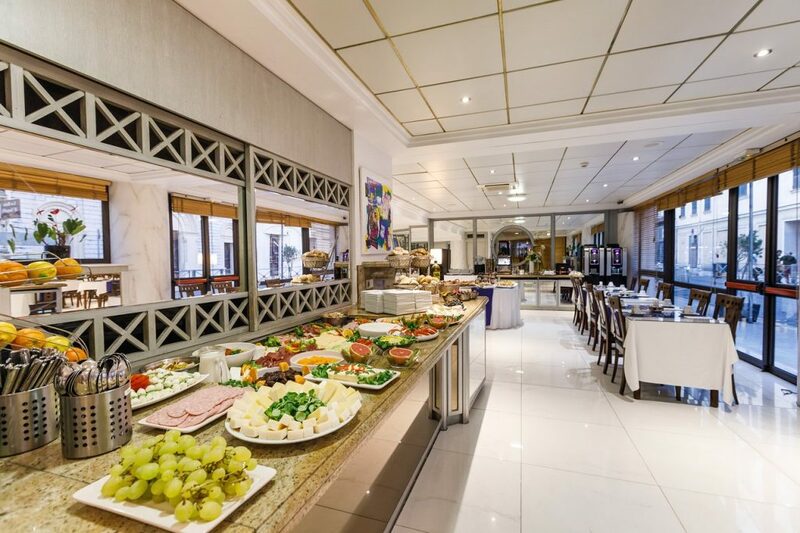 Many of our hotels have fantastic restaurants featuring fresh, locally-sourced produce, wifi and comfortable common areas where you can put your feet up and relax in comfort after a good day on the road. 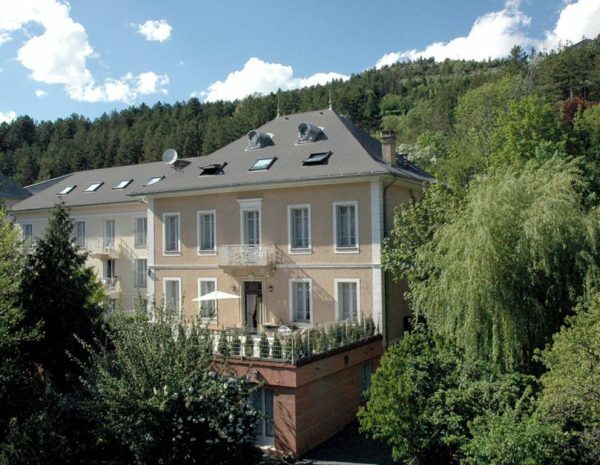 Accommodation for our first 3 nights is at Hotel Vauban, a centrally located and cycling friendly establishment in the heart of Briançon, listed as a World Heritage Site since 2008. 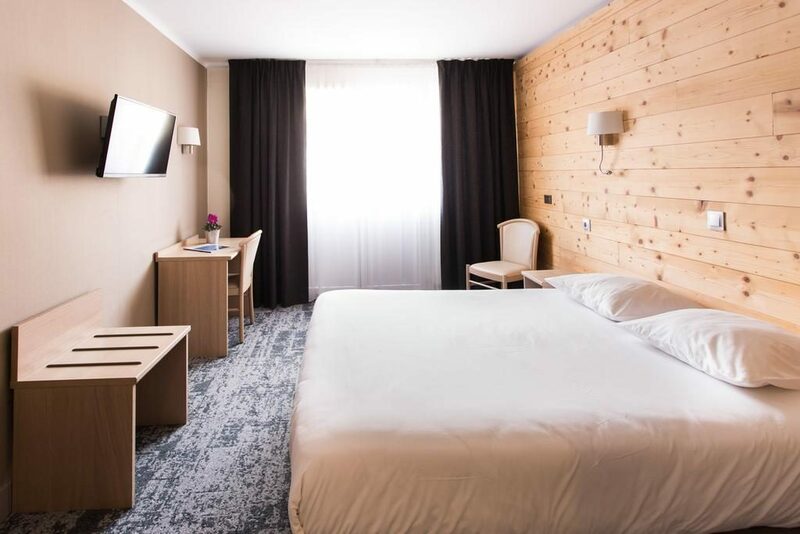 Your hotel is also ideally situated for access to some of the most famous Tour de France climbs in the Alps – Col du Galibier and Col d’Izoard, to name just two (yes, we’ll be climbing both!). 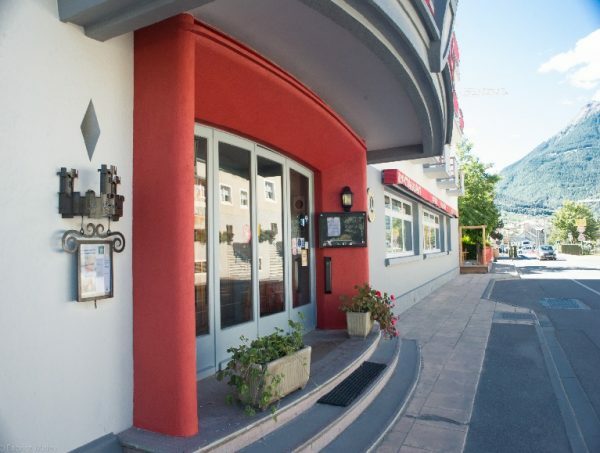 Right in the center of Barcelonnette, this friendly hotel is minutes from the restaurants and shops of town. 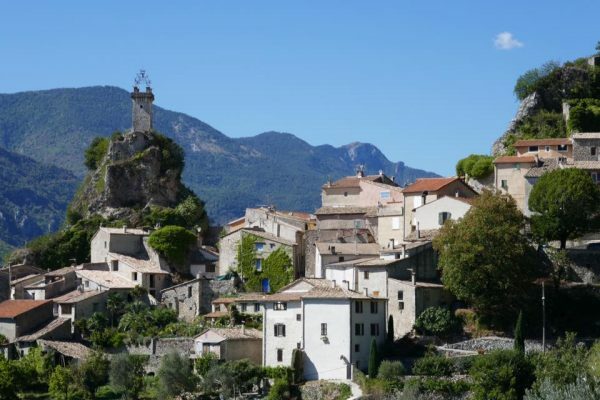 The Ubaye Valley is a cycling mecca, with access to multiple giant cols in the beautiful Mercantour National Park. If you have any aches and pains, the Azteca has an attached spa: well-earned massages can be arranged! 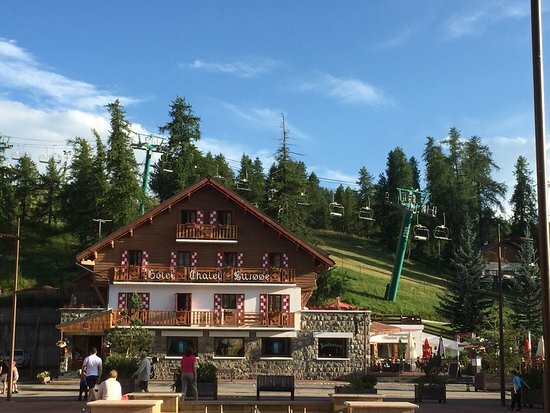 On our penultimate night we stay in the pine-scented ski resort of Valberg, only 80 km from the Mediterranean, but more reminiscent of a Swiss village. After checking in you are free to walk around the town, relax in your comfortable room, or enjoy a cold beverage on their sunny terrace! 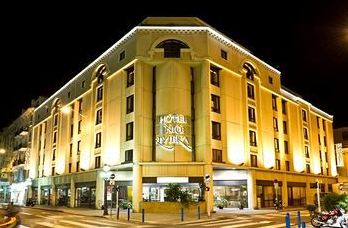 For our last night we are treated to some 4-star comfort, located steps from the Promenade des Anglais and Old Nice. Pamper yourself as you like tonight because there’s no riding to do tomorrow!